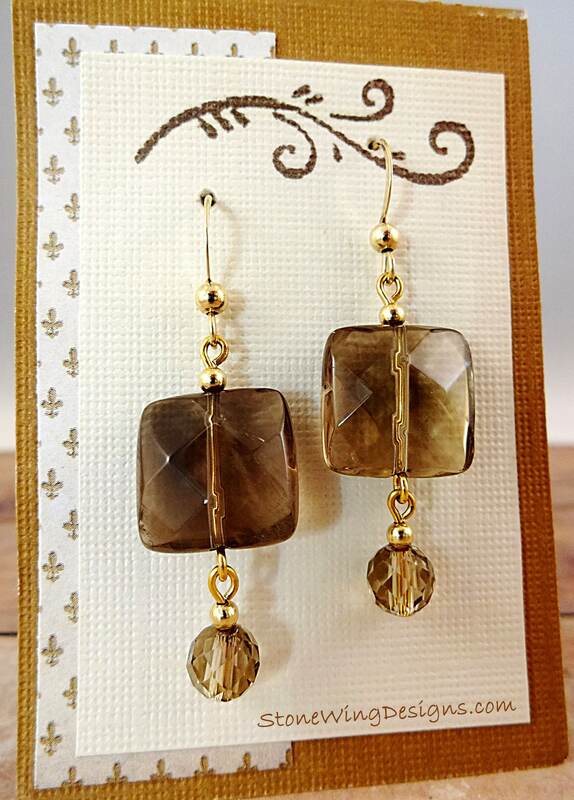 These gorgeous Smokey Quartz earrings feature faceted flat squares that are about 3/4 inch in size. 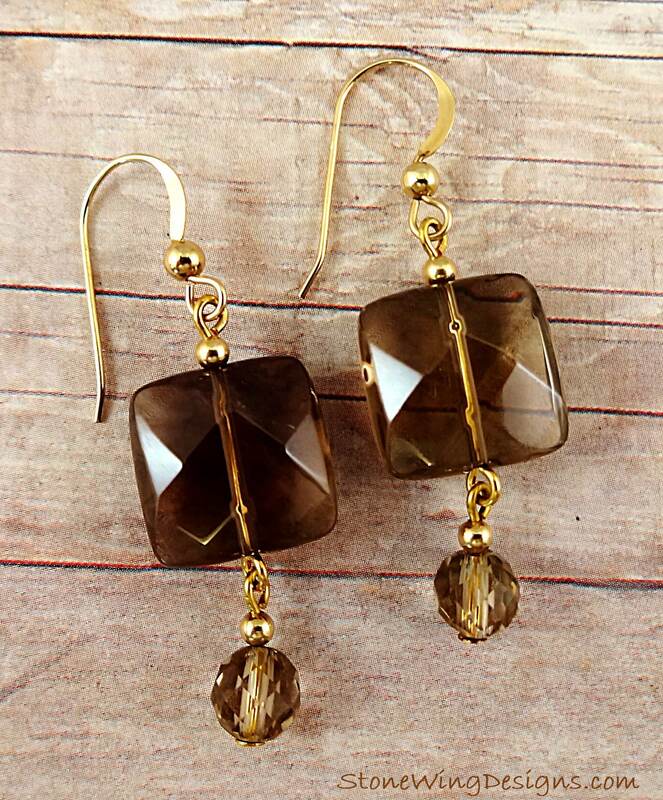 Dangling from the squares are faceted 6mm rounds. 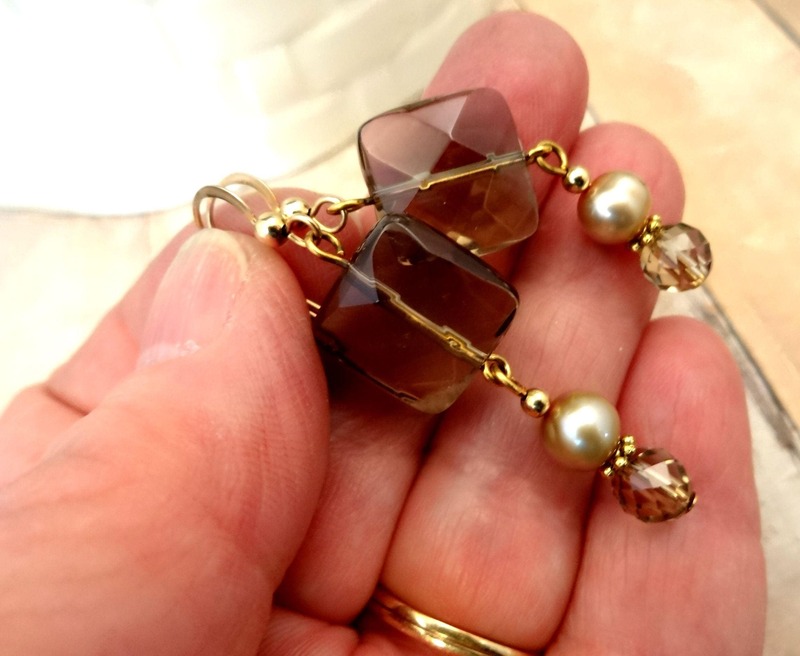 The small 2.5 mm spacer beads are 14k gold fill. 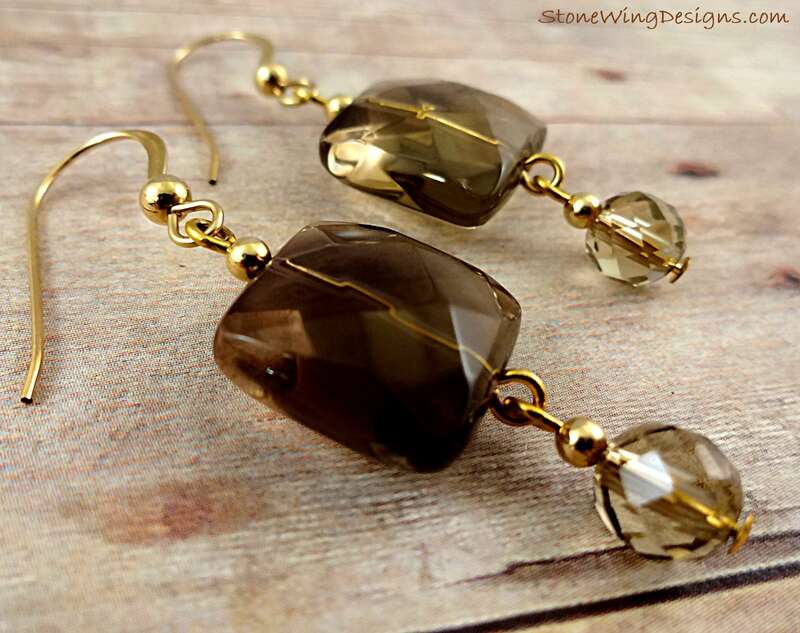 14k gold fill French hook ear wires complete the set. Total earring length from the top of the wires is about 2-1/4 inches. 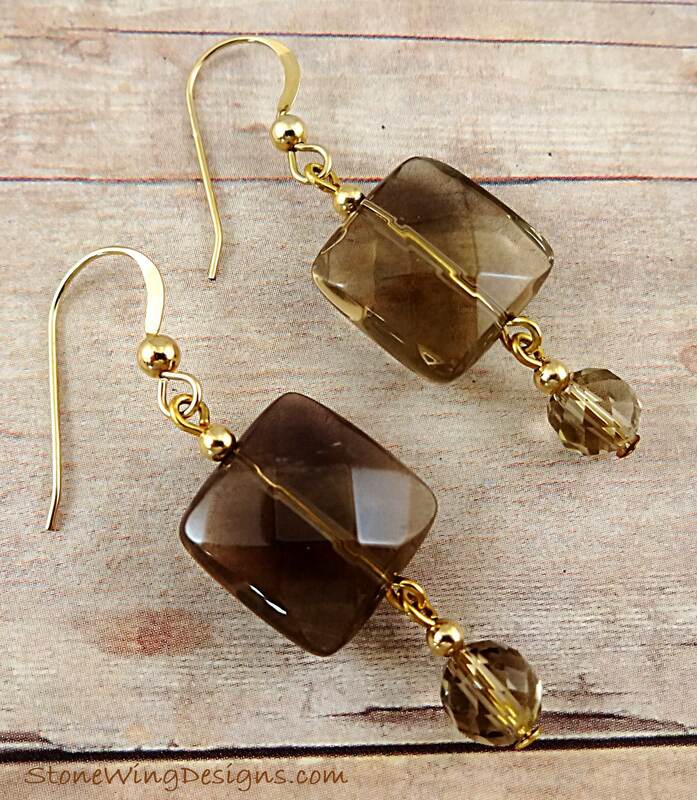 The last picture is of a similar pair of earrings, but it gives you an idea of the size of the squares.